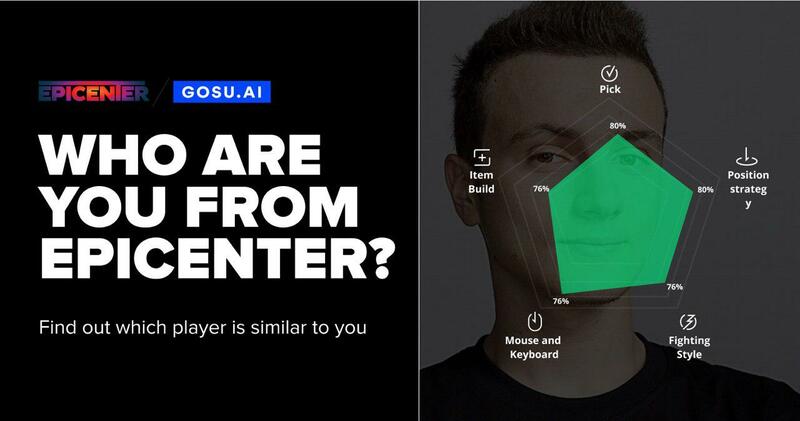 Find out which player is similar to you! The more two players are alike, the less the Euclidean distance between their frequency vectors. - frequency vector of the first player. - frequency vector of the second player. - the percentage of the last 100 matches, in which the first player used the hero at number 1 - Abaddon. The similarity of the two players on the basis of the used objects is considered absolutely analogous to the case with the heroes used, but now items are used as a component of the frequency vector. In the case of Fighting, the idea remains the same, but instead of frequency vector, a vector is used that consists of the following components, calculated on the basis of the last one hundred matches played by the player. Each player has an analog of a person's fingerprints. As a ''fingerprint'' is a heat map of the mouse cursor. The longer the player's cursor is at this point in the screen, the more red the dot on the picture. It's easy to notice, that a large number of players often buy items with a mouse. Someone moves the screen by clamping the mouse wheel and someone moves the cursor to the edge of the screen. Based on the signs received, we can distinguish players from each other. If people can do this, then neural networks will be able to! Сonvolutional neural network is trained on the participants of the tournament. At the input, the neural network receives a picture with a heat map of the mouse cursor of the player and on the output, it returns the probability, that this heat map belongs to a given professional player - this is mouse-similarities. Similarity on the basis of positioning on the map can be considered absolutely analogous to how similarity was considered on the basis of heat maps of mouse cursors. Instead of the coordinates of the mouse cursor on the player's screen, the coordinates of his hero on the map in Dota 2 match are used.